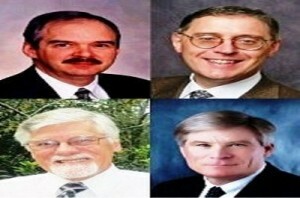 The Society of Plastics Engineers (SPE) announced that it will award four distinguished individuals who have made outstanding contributions to the plastics industry at SPE ANTEC 2013. The International Award, SPE’s most distinguished award, will be presented to Dr Benny Freeman, the Robert B. Curran Centennial Chair in Chemical Engineering at The University of Texas at Austin. His research focuses on polymers and polymer-based composite materials, with particular emphasis on the transport of small molecules in polymers. His work has been commercialized in both the gas and water purification arenas, contributing water purification filters and energy-efficient membranes for gas separation, such as the purification of natural gas. The Business Management Award goes to Tim G Taylor, currently serving as the Executive Vice President of Commercial, Marketing, Transportation, and Business Development at Phillips 66. The Education Award will be presented to Dr Robert Y Lochhead, who joined the University of Southern Mississippi (USM) as Associate Professor in 1990 and has chaired the Department of Polymer Science since 1993. He serves as Principal Investigator of the NSF-funded “Multinational Partnership to Incite Innovation” and is Director of the School of Polymers and High Performance Materials at USM. Last but not least, Dr Robert R Gallucci, Chief Scientist with SABIC Innovative Plastics in Indiana, the US, won the Research/Engineering Technology Award. In his plastics career of more than 36 years he has developed many new thermoplastic products, often using extruder chemistry and polymer blend compatibilization. He has contributed to cumulative product sales of well over US$2 billion. Dr Gallucci has written 39 technical papers (including 23 ANTEC papers) and contributed to three books. He holds over 100 US patents with 132 different co-inventors, including Dan Fox, the inventor of Lexan polycarbonate. ANTEC 2013 will be held in Cincinnati, the US from April 21-25.